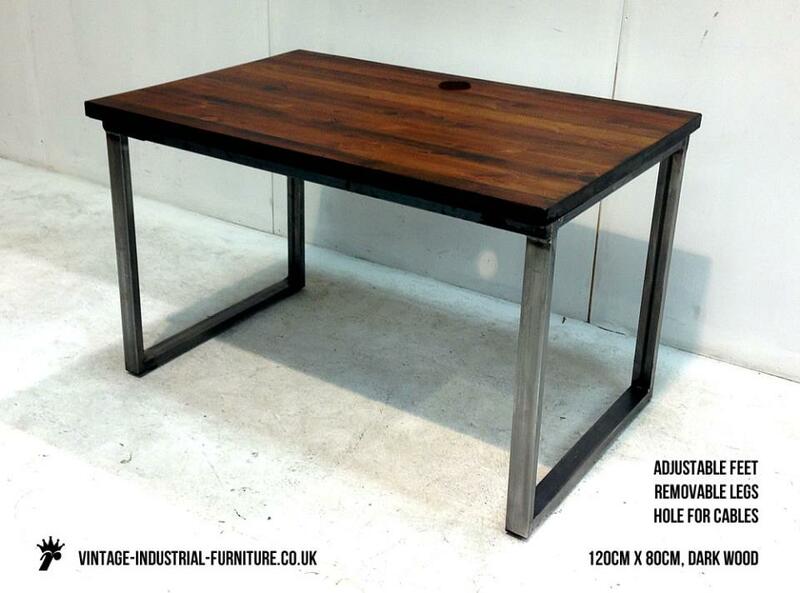 Our vintage industrial loop leg desk is a sturdy, practical piece of furniture and is ideal for computing or more traditional pursuits. It features removable legs to aid installation - ideal if you are looking for a desk to go into a small office or loft space. 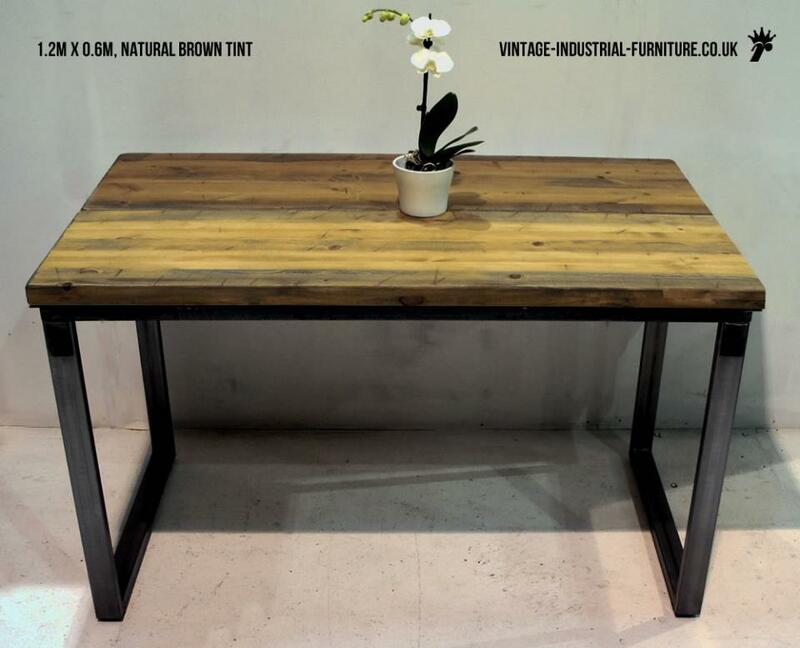 This piece features a solid wood top with a wonderful vintage appearance. The robust frame and legs are both of grey self-colour steel. 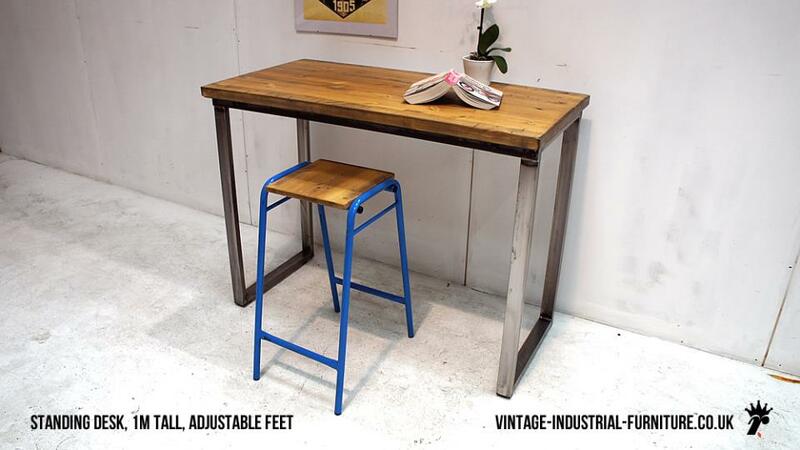 The addition of adjustable feet allows this vintage industrial loop leg desk to be seated securely on floors which are less than perfectly flat - as you might find in an old property. If you fancy a more colourful top we could treat your table to a painted finish - see our striped coffee table as an example. Want to see an alternative? 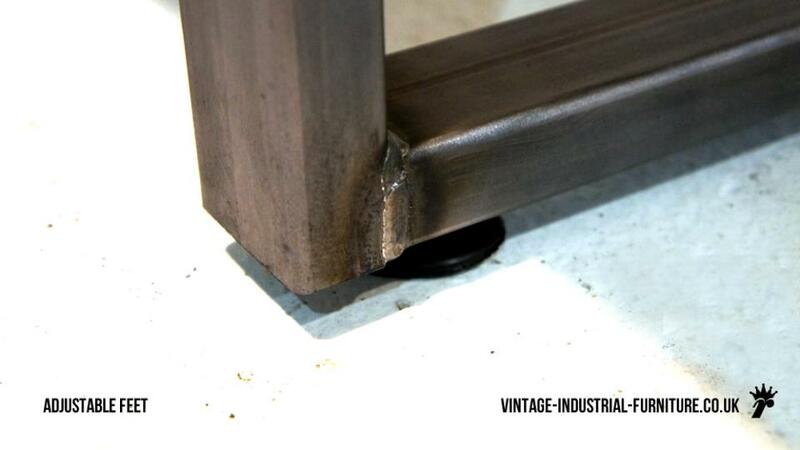 - Try our Vintage Industrial Hairpin Desk. Please specify the wood colour which you require in the checkout message box. We can supply this desk with an 80mm diameter cable management hole. The hole is fitted with a neat wooden grommet and cap. The top is finished in several coats of a durable lacquer.